The 14th Durban International Blues Festival will again be upholding its policy of mentorship and development on November 3, 2018. The Annual Blues Development Workshop takes place at 13h30 at the Durban Music School. “Anyone who has an interest in Blues Music is welcome to attend and entrance is free,” says DIBF Development and Mentorship Director, Pinkie Mtshali. The Blues Workshop will be conducted by Nico Lawrence known to blues circles as Smokey Blue. He is a self-taught guitarist who originally hails from Port Shepstone but who now resides in Johannesburg. 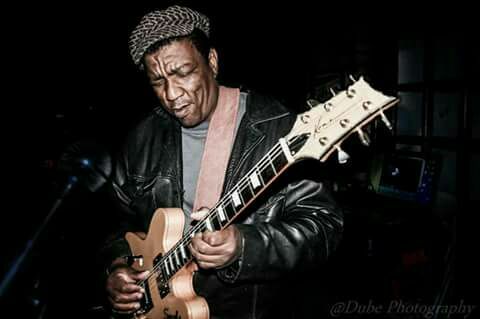 Nico - or Smokey - is the lead guitarist in the band The Smokey Blues Band, who will be performing on stage as part of the Durban International Blues Festival on Saturday, November 3. Says Mtshali: “The workshop will cover background of the blues and demonstration of chords structures and a jam session with the new Development Durban Music School Blues ensemble as well as Themba Msomi, a vocalist from Tongaat who writes his own African blues music and who will also be performing at the festival on November 2. The Annual Blues Development Workshop takes place on November 3 at 13h30 at the Durban Music School, 21 Diakonia Avenue, Albert Park in Durban. Entrance is free and there is no need to book.